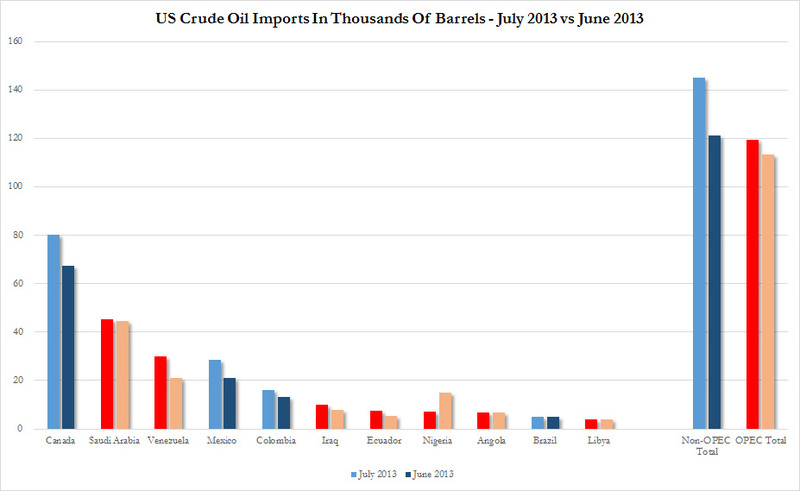 The Stated Truth » Here Are The Most Recent U.S. Crude Oil Import Charts…. The U.S. isn’t “oil independent” just yet, but we’re working on it! 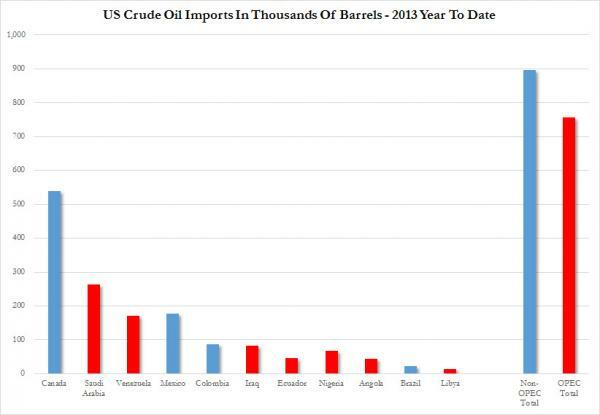 As you can see from the charts below, most of the OPEC oil imported by the US comes from places other then the Middle East. Saudi Arabia and Libya are the exceptions. 2013 July vs June Chart Below……. 2013 Year To Date Chart below…..